Remember all those cold war movies where nuclear missile crews are frantically dialing in the secret codes sent by the White House to launch nuclear-tipped intercontinental ballistic missiles? Well, for two decades, all the Minuteman nuclear missiles in the US used the same eight-digit numeric passcode: 00000000. That fact, originally revealed in an interview in the Guardian in 2004 by Dr. Bruce G. Blair, a former US Air Force officer who manned Minuteman silos, was mentioned in a paper by Steven M. Bellovin, a computer science professor at Columbia University who teaches security architecture. For decades, the codes were carried with the President at all times in a briefcase commonly referred to as the “football.” At least that’s the way it was supposed to work, following an executive order from President John F. Kennedy. But at the time of the Cuban Missile Crisis, more than half of the missiles in Europe, including those in Turkey, lacked PAL controls. 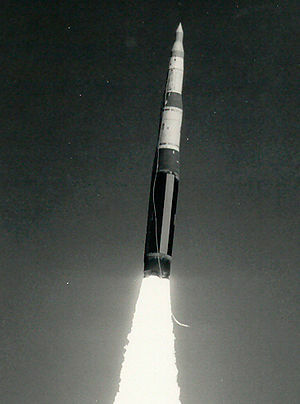 And while Secretary of Defense Robert McNamara directly oversaw the installation of PALs on the US-based ICBM arsenal, US Strategic Command generals almost immediately had the PAL codes all reset to 00000000 to ensure that the missiles were ready for use regardless of whether the president was available to give authorization. Read More Launch code for US nukes was 00000000 for 20 years | Ars Technica. This entry was posted in News from the Soul Brother and tagged Cuban Missile Crisis, ICBM. password, LGM-30 Minuteman, nuclear launch codes, Permissive Action Link, security, United States. Bookmark the permalink.